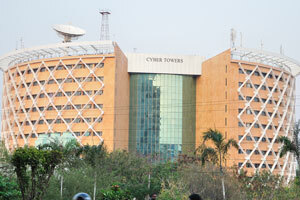 Cyber Towers view from Hitech City Flyover. 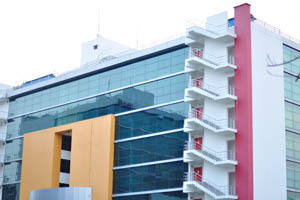 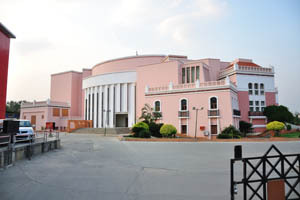 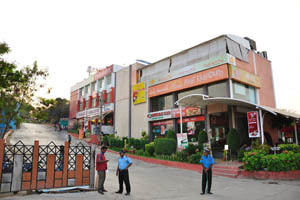 Shilpakala vedika, a multi-purpose auditorium. 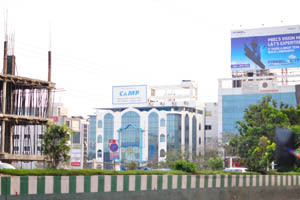 CAMP Aviation Information Systems & Services. 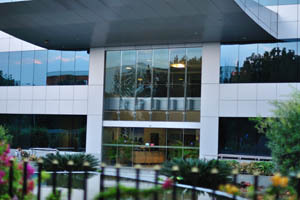 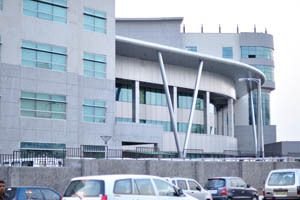 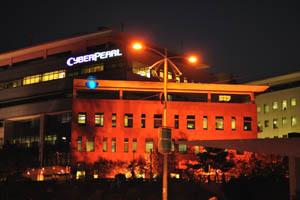 Cyber Pearl (an Ascendas IT park). 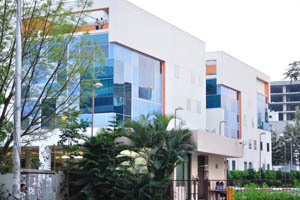 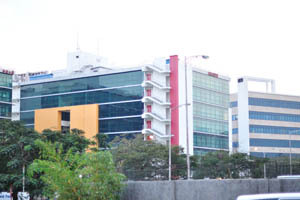 Kidz Paradise and Knoah Solutions in Mindspace IT park. 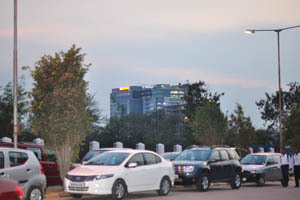 Deloitte Drive beside Cyber Gateway. 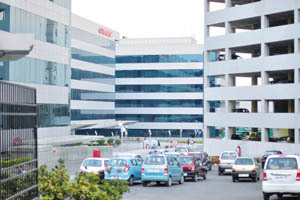 Roads inside the Oracle campus. 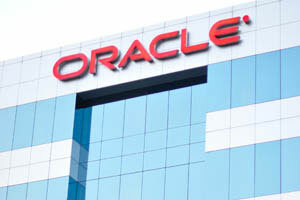 Oracle - the name of the company at the top of the building. 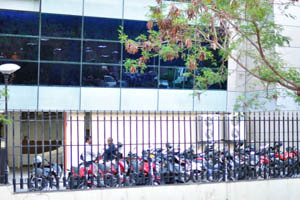 Motorcycle parking on the territory of Deloitte. 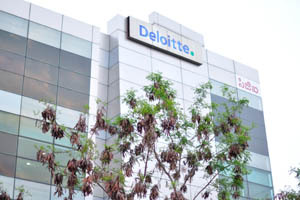 Deloitte - the name of the company at the top of the building. 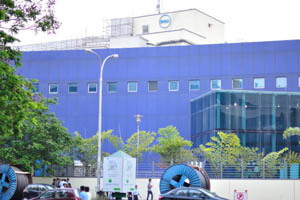 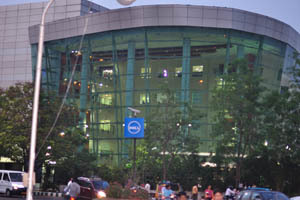 Dell is an American multinational computer technology corporation. 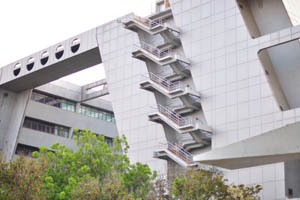 Entrance to one of the Oracle buildings. 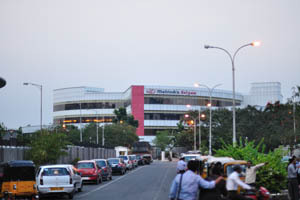 Oracle - the name of the company over the entrance. 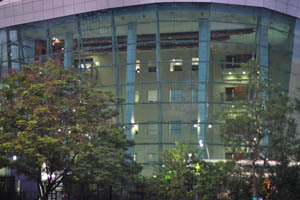 Entrance of the main Oracle building. 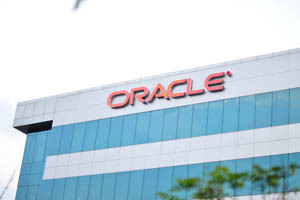 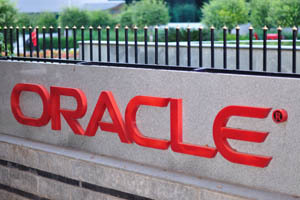 The name of the Oracle corporation. 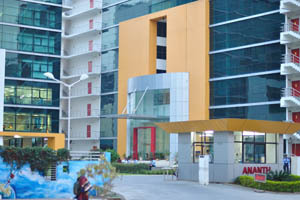 Young indians in the Oracle Campus. 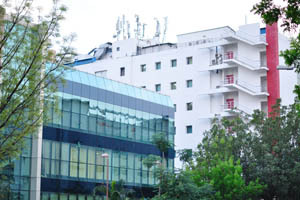 Radio electronic equipment on the top of the Ananth building. 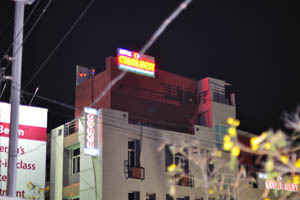 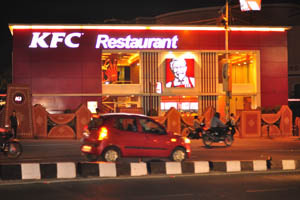 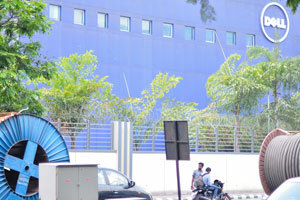 One of the buildings with metal color. 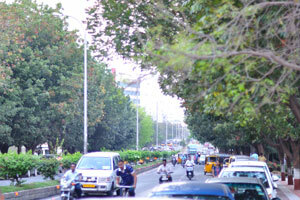 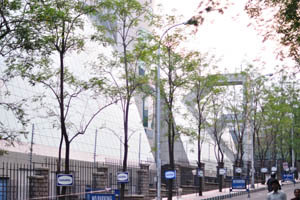 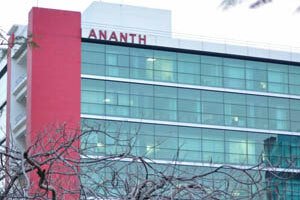 Entrance to the Ananth Info Park. 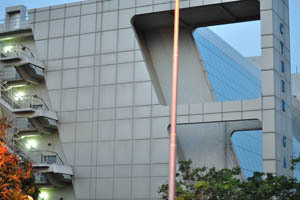 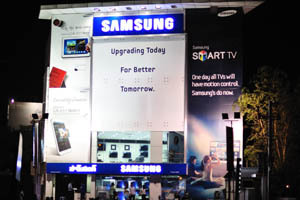 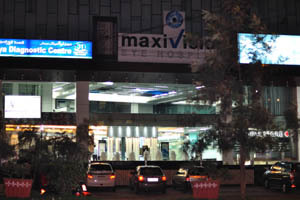 IT building in the beginning of XXI century. 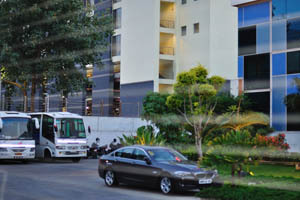 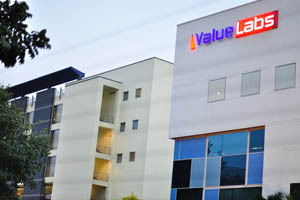 Buses in the ValueLabs yard. 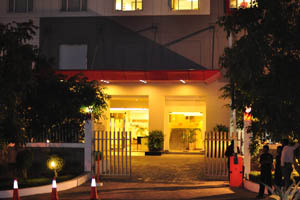 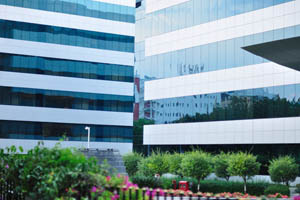 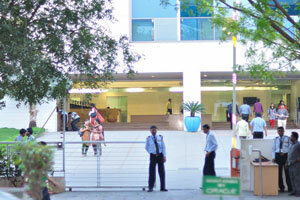 Cyber Gateway is an office space with a glass facade, landscaped gardens and waiting lounge. 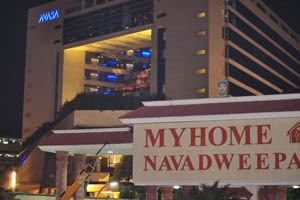 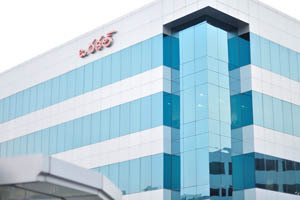 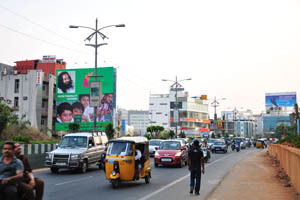 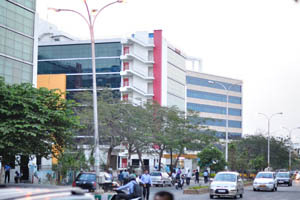 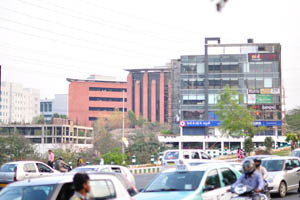 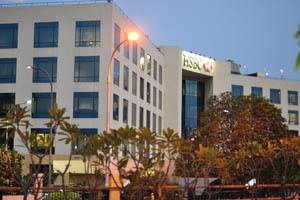 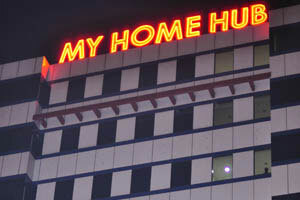 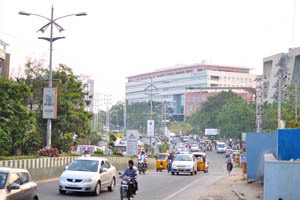 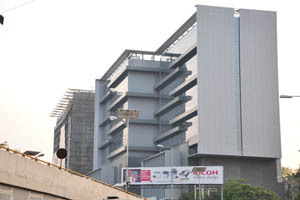 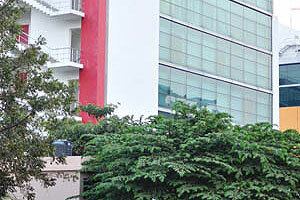 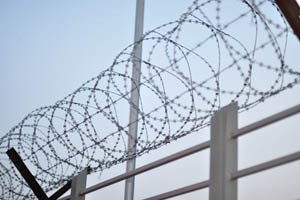 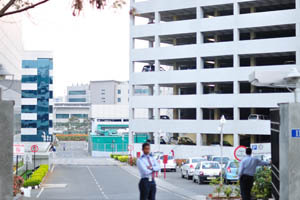 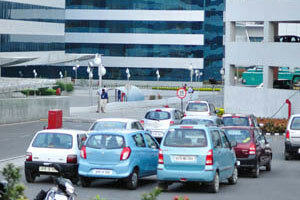 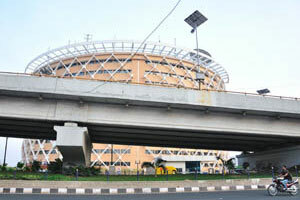 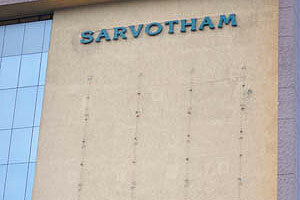 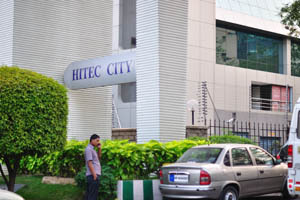 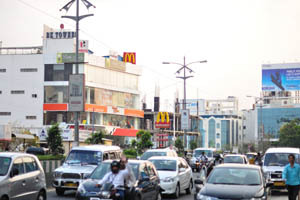 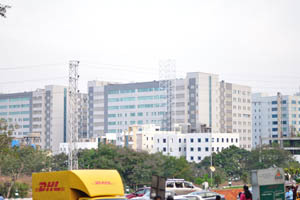 The Cyber Gateway is Phase II of HITEC City. 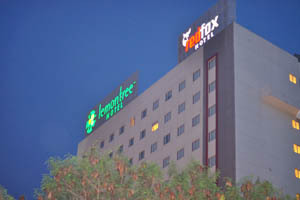 Lemontree hotel and Redfox hotel. 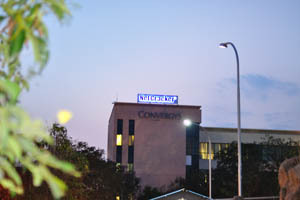 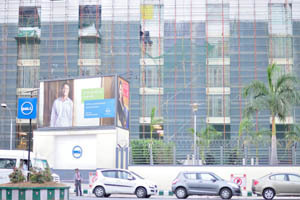 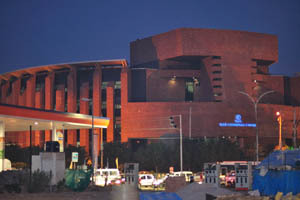 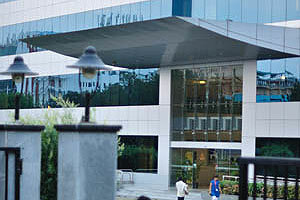 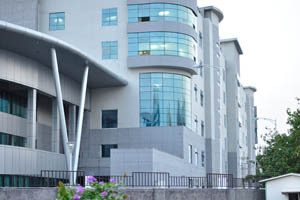 Entrance to Tata Consultancy Services. 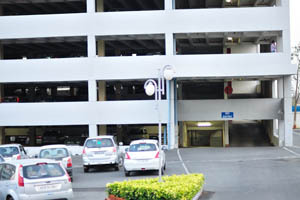 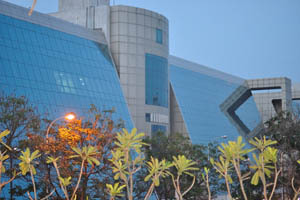 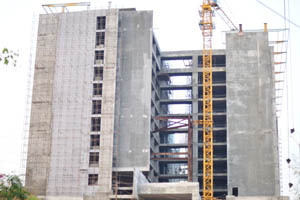 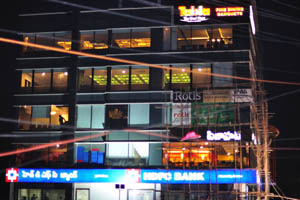 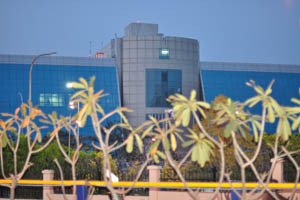 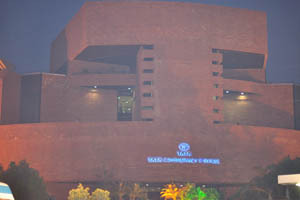 Tata Consultancy Services round building. 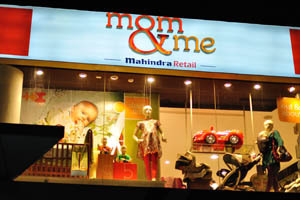 Mom & Me, Mahindra Retail. 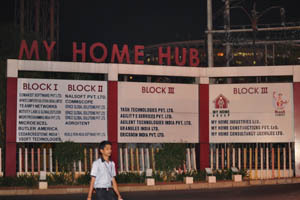 My Home Hub, the list of the companies in the blocks I-III.